It is estimated that there are over one billion virtual workers around the world, and the number is expected to continue climbing well into the future. With a global workforce, you are provided with a cost effective and talented pool of employees to draw from. With a virtual team you are given a Follow the Sun production environment. With a virtual team, you have the normal issues of a localised team, with the additional challenges of distance and cultural differences. 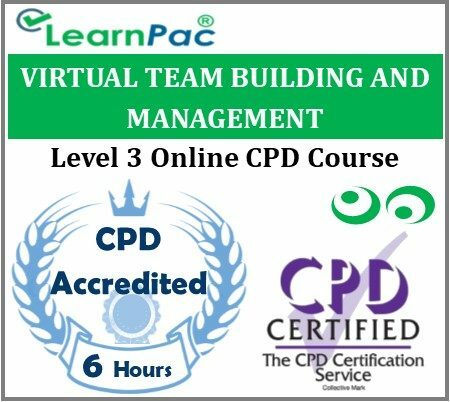 Virtual team building and management will give participants the knowledge to work with these challenges and succeed in a growing global workforce. Why is virtual team building important? Virtual teams can feel very lonely. Remote employees are typically focused on their own silo, and rarely interact informally with their peers and managers like they would in a regular office. Meetings in particular can feel very transactional and dry. This is one big disadvantage of virtual teams – you lose what’s called the “water cooler” effect in a regular office, where team members bump into each other at the water cooler and talk about things unrelated to work. Although such minor interactions can be trivial, their impact is quite significant on team performance. They have a tremendous positive effect on overall team morale and happiness.